From an Email received on 10 November, 2011. 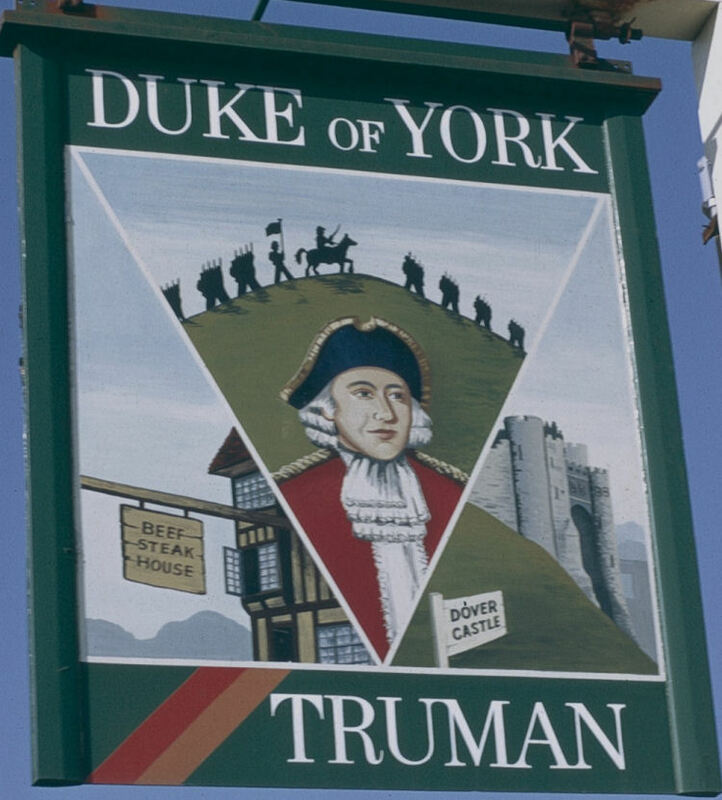 I have attached an old Kent sign taken in 1974 for The "Duke of York." The only possible location I have for it is that is was possibly on A226 between Gravesend & Rochester. Any help with an exact location for it would be most useful. Brian Curtis of the Inn Sign Society. From an email received 12 April 2014. It is now called the "Copperfield," and they do reasonable dinners.